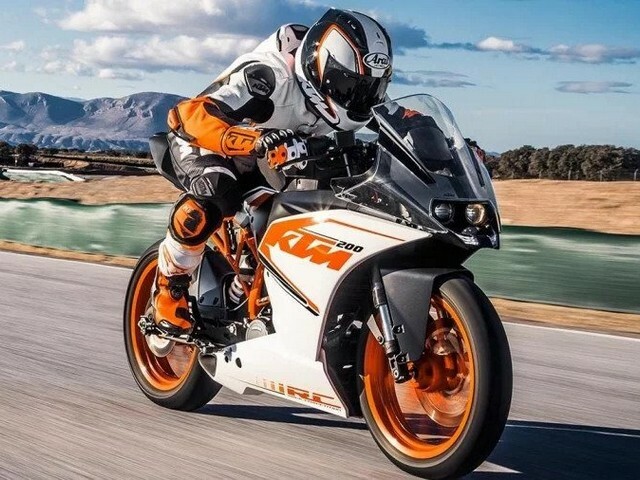 Austrian bike maker KTM has launched the KTM RC200 ABS version. The 200cc bike is priced at INR 1.88 lakhs, ex-showroom, Bangalore. This makes the ABS version costlier than the non-ABS version by Rs. 9000. KTM has opened bookings for the ABS RC200 across multiple dealerships in the country. Deliveries will commence from next month. The RC200 ABS is equipped with single channel ABS like in the Duke 200 ABS. The ABS unit is sourced from Bosch. KTM will continue to sell the non-ABS version of the RC200 till stocks get exhausted. Powering the KTM RC200 ABS is a 199cc liquid cooled single cylinder engine which pumps out 25 bhp of power and 19.2 Nm of torque paired to a six-speed gearbox. This model doesn`t get a slipper clutch. The RC200 ABS competes with the likes of the Honda CBR250R and the Yamaha YZF-R15 V3.0 ABS. – Rivals the likes of the Honda CBR250R and Yamaha YZF-R15 V3.0 ABS.